Orris root is obtained from the common garden variety of bearded iris, also known as Fleur-de-lis and Purple Flag. Once the root of the plant is aged for at least two years, it takes on a fragrance similar to the violet. Because of a high starch content, powdered orris root not only retains its own scent but also “fixes” the scent of other materials. For this reason, orris root is used in potpourri mixes and in perfumery as a fixative to help preserve the aroma of the collective herb and spice ingredients. Orris root is also added to natural body powders and other cosmetics to improve smoothness. Orris root is the dried, aged rootstock of a variety of “bearded” iris plants. Iris x germanica is an attractive plant with sword-like bluish-green leaves that are narrow and flat and the largest of all the species. The flower-sterns are 2 to 3 feet high. The flowers are large and deep blue, or purplish-blue in color and bloom during May and June. 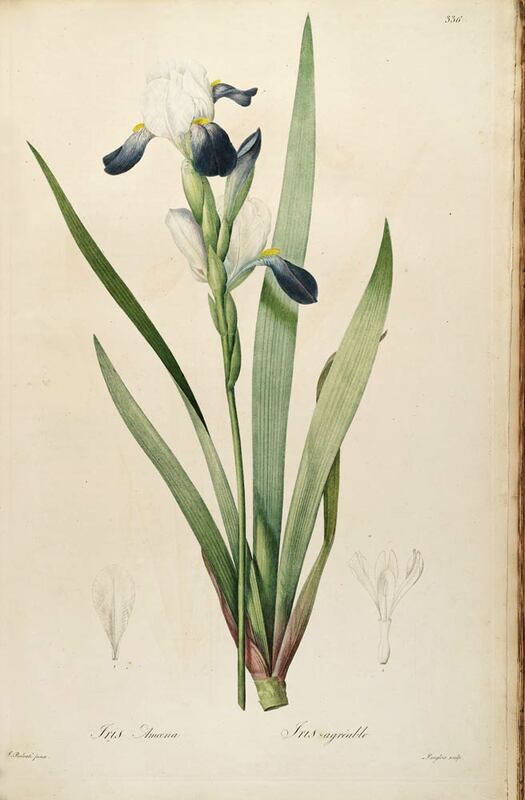 The three bending petals have purple veins running lengthwise; the beard on them is yellow and the three erect petals or standards are bright blue, with faint purple stripes. The flowers have an pleasing scent, similar to that of orange blossoms. The creeping root-stocks are thick and fleshy, spreading over the surface of the ground and of a brownish color. 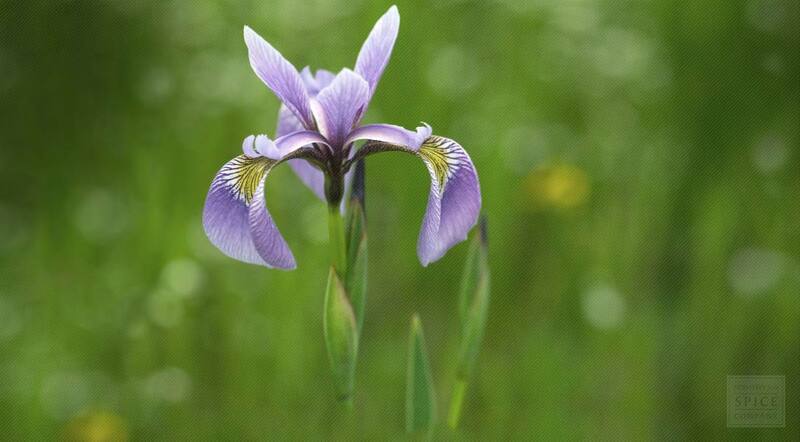 The plant is named after the rainbow goddess, 'Iris,' named due to variety of colors in the flowers of the genus. Iris x germanica is a native of Southern Europe, very frequent in Italy, apart from its cultivation there, and is also cultivated in Morocco and many other regions of the world. Prefers a sunny location in a cultivated garden, also suitable for woodland edges, small hillsides and as mass or specimen plantings. Prefers a well-drained soil that contains some lime. Propagation is best by division. This should be done after flowering, though it is usually successful at most times of the year. Larger divisions can be replanted direct into their permanent garden locations, though it is best to pot up smaller clumps and grow them on in a cold frame until they are rooting well. Plant them out in the spring. The root is harvested in late summer and early autumn and dried for later use. The root can be dried as cut pieces or ground into a powder and may take several years of drying to develop its full fragrance. Store dried orris root in an airtight container in a cool, dry place.